K1 is a piece of land in Orchard Park, Cambridge, owned by the city council. The council is interested in progressing the establishment of a Cohousing project on the site. Cambridge Architectural Research (CAR) was appointed to market test the establishment of a Cohousing project and this was successfully achieved. CAR is now facilitating the establishment of all the legal structures required to proceed with building. This represents an excellent opportunity to bring forward a unique project in the city. There is a significant amount of work to be done, one critical task being to submitt an outline planning application to South Cambs council. The original outline planning permission for 36 open market dwellings on 0.86ha (2.1 acres) has expired and a new application is required. The K1 residents group and CAR, working together, are keen to help bring this opportunity to fruition. Please see below for contact information and our site specific mailing list. Because the allocation for affordable housing in Orchard Park has already been met it is expected that all K1 residents will have to purchase their houses. 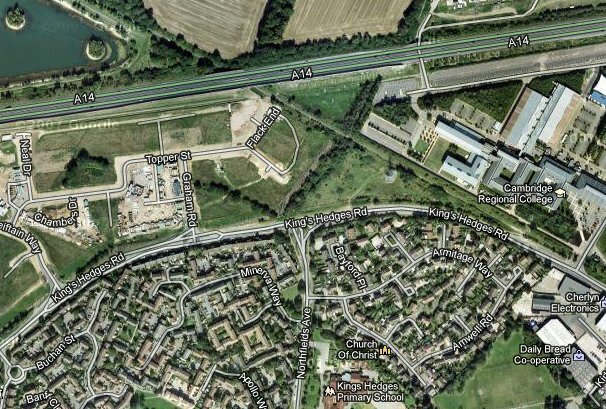 Orchard Park is a new development between Kings Hedges and the A14 just North of the Cambridge City Council boundary. 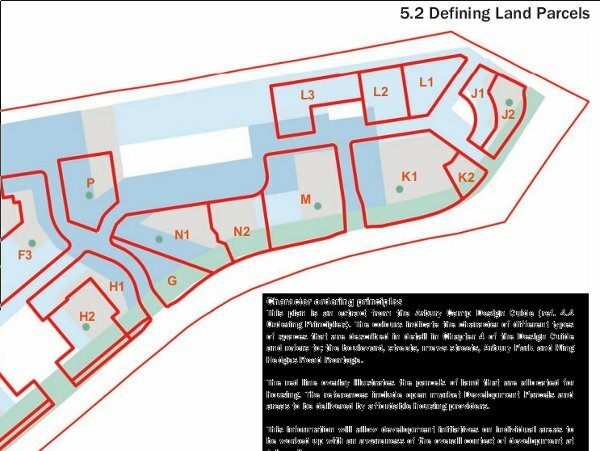 K1 is to the East and is a suitable size for a Cohousing community. In the Google map below K1 is just left of centre (East of Graham Road). The diagram below indicates the boundaries. Throughout Enlinca's history one subject that has been very difficult to agree upon is where exactly we want to live. All of the many dozens of sites we have considered have had some sort of a problem for a significant number of members. K1 is no different, but it represents an excellent opportunity to finally get a community built. It is in one of the more affordable areas of the city, it has good transport links, such as being right next to the recently opened guided bus route, and is convenient for the Science Park and CRC. If we succeed at K1 then more communities can be built later. If you are interested to get involved please join the dedicated mailing list by sending an Email to .